Our in-depth three year course will teach you everything you need to know to become a confident and successful practitioner. The total numbers of hours studied are 3,600, making this degree-level training. You may find that for personal reasons you need to take a study break; this is completely acceptable as long as you complete all of your modules within five years. Unlike training at a university, all of your lectures will be delivered by successful practitioners who are eager to pass their knowledge and experience on to you. Our academic team have trained literally hundreds of acupuncturists and they work hard to make sure that what you learn you is up-to-date and relevant to the work of an acupuncturist. You can study the 3 year Lic. Ac on Thursdays and Fridays starting in September 2018. Although the BAAB is the accrediting body, your Licentiate Diploma in Acupuncture will be awarded by The City College of Acupuncture. The final level of the award is known academically as Level 6, the same Level as a BSc (Hons). The theories and practice of Chinese Medicine has been continuously evolving for over 2000 years, and modern research worldwide is validating its effectiveness and mode of action. Understanding the validity of such wealth of practice, from the more ancient theories to modern incarnations, allows the practitioner to adapt to any situation the patient may present with. Our programme, designed by lecturers, academics and full-time practitioners, reflects this variety of practice, and aims to instil an understanding of all the various strands of Chinese Medicine, in a teaching environment centred around clinical practice. A Chinese medicine practitioner should rely on observational skills as well eliciting answers from the patient to form his diagnosis. Our programme therefore establishes a strong base of non-verbal skills first, before introducing verbal skills, ultimately allowing the practitioner to make full use of the diagnostic tools at its disposal. The programme is developed in keeping with the core values set out by the various professional bodies. In particular it fosters critical thinking, by encouraging students to question their own beliefs, as well as the received wisdom of those around them. We provide a climate where competent, safe and ethical, open-minded practitioners develop, who will be ready to engage with the continuous professional development required of professionals healthcare providers, as well as participate in the further evolution of Chinese Medicine and wider public debate surrounding complementary healthcare. You will be attending classes for two days per week, for roughly three weeks out of four. This enables you to have all the regular academic breaks throughout the year (Christmas, Easter, Summer, etc.) and also gives you time for additional home study. Your first two years will be spent studying what we call our TCM Core Modules. We teach practical skills such as taking the tongue and pulse, palpating, needling, cupping, gua sha, etc. across all of these Core Modules so that you will already be highly skilled in these therapies when faced with real patients in your final clinical year. The clinical module in the third year is where all of the different strands of the course come together and it is always inspiring to see watch our students treating their own patients under the watchful eyes of our clinical supervision team. Our most recent graduates completed an average of 78 treatments each, giving them the breadth and depth of experience needed to become a confident and capable acupuncturist. The third year is also where you complete your business module. We want you to succeed in your new career and we make sure that you have a clear idea of how you will get into business on graduation. Currently 100% of our graduates are practising acupuncturists! 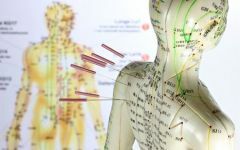 These modules introduce the historical background and modern interpretations of the theoretical building blocks of Chinese Medicine – Yin yang, the Three Treasures, the Four Levels, the Five Elements, the Six Division Jing luo acupuncture channels, the Seven Emotions, the Eight Principles and the Zang fu Organ Network. You also spend a significant amount of time developing practical skills such as tongue and pulse diagnosis. These modules introduce you to the anatomical structures that make up the body and the pathways of Qi that animate them. Palpable surface anatomy (what you can feel when you touch the body) is taught in small groups under close supervision. Once you can identify anatomical landmarks, you will be guided in locating the acupuncture points. These are activity-based classes where you also develop your skills in needling and cupping from an early stage. Building on the theoretical building blocks established in year one, CMP introduces the differentiation of TCM patterns of disharmony in relation to the disease categories of conventional medicine. Every lesson contains a guided clinical section where you practice how to treat the conditions you are studying. This module develops the practical anatomy and point location started in year one. Whole afternoons in this module are given over to practical skills so that you are confident in performing a wide range of ancillary techniques before you progress to the clinic. These modules look at conventional Western medicine both in terms of how the body works when it is healthy (physiology) and in sickness (pathology). An appropriate understanding of Western medicine is necessary as this ensures safe practice and the ability to converse with a conventional medical practitioners and insurance companies. This module encourages professional maturity by consolidating the understanding of the therapeutic relationship. You will be asked to explore your motivations more deeply through reflective practice. You also start taking real case histories and performing treatments on your classmates under close clinical supervision. A minimum of 200 hours will be spent in close contact with real patients in our multi-bed clinic. You will be supervised taking cases, forming a diagnosis and treating with acupuncture. As the year progresses, you will be given increasing autonomy in your actions until you are able to work as stand-alone professional acupuncturist. An appreciation of research is embedded in all modules and is drawn together here in year three where you will write a 3,000 word article ready for submission to a peer-reviewed journal. This will give you a tool to promote yourself when you graduate. This module links the study of pathology across the Western and Chinese medical modules. Emphasis is placed on safe practice, ‘red flags’, understanding commonly encountered medication, and knowing when to refer on to a conventional medical practitioner. Common medical tests such as taking blood pressure are practiced. This module has you formulate a plan for your practice once you qualify, and helps you get back in touch with the initial motivation that made you to retrain as an acupuncturist. It covers all legal aspect relating to the practice of acupuncture and enables you to graduate with a clear business strategy to follow.